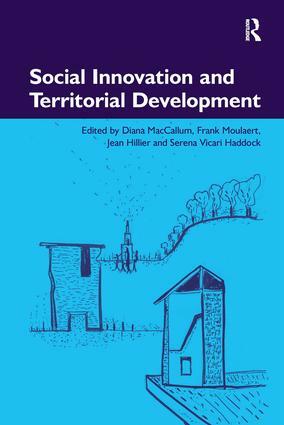 The concept of social innovation offers an alternative perspective on development and territorial transformation, one which foregrounds innovation in social relations. This volume presents a broad-ranging and insightful exploration of social innovation and how it can affect life, society and economy, especially within local communities. It addresses key questions about the nature of social innovation as a process and a strategy and explores what opportunities may exist, or may be generated, for social innovation to nourish human development. It puts forward alternative development options which variously highlight solidarity, co-operation, cultural-artistic endeavour and diversity. In doing so, this book offers a provocative response to the predominant neoliberal economic vision of spatial, economic and social change.